A wedding is a beautiful ceremony that celebrates the union of two souls. From the sight of colorful flowers to the sound of children’s laughter, there’s that sense of joy weddings can bring. 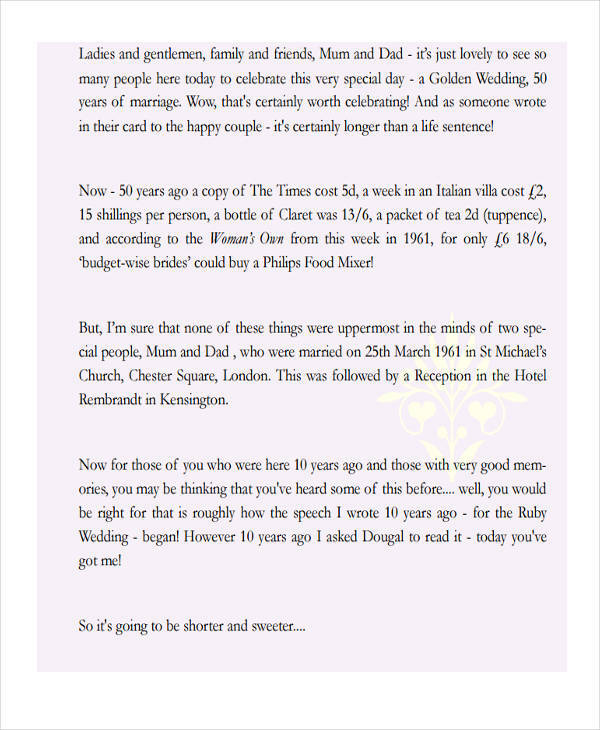 That is, until the wedding planner asks you to give a speech as part of the wedding agenda. 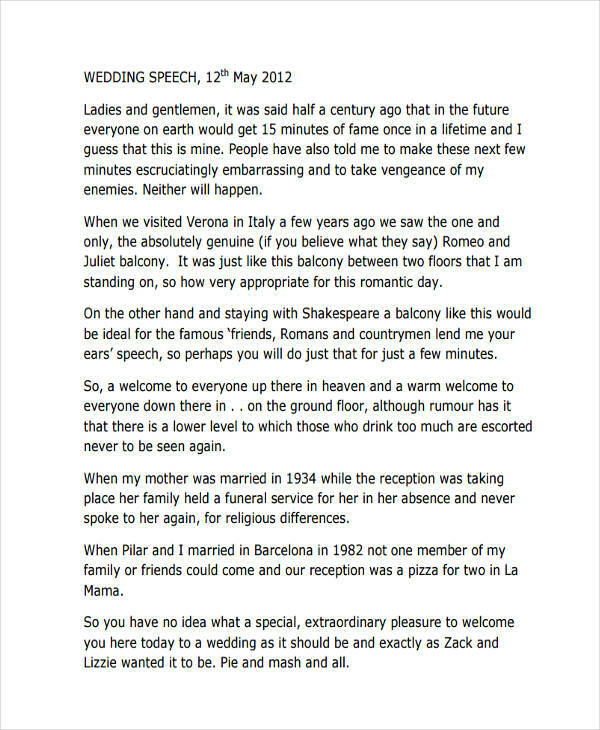 Huge problem, you don’t even know how a wedding speech starts. 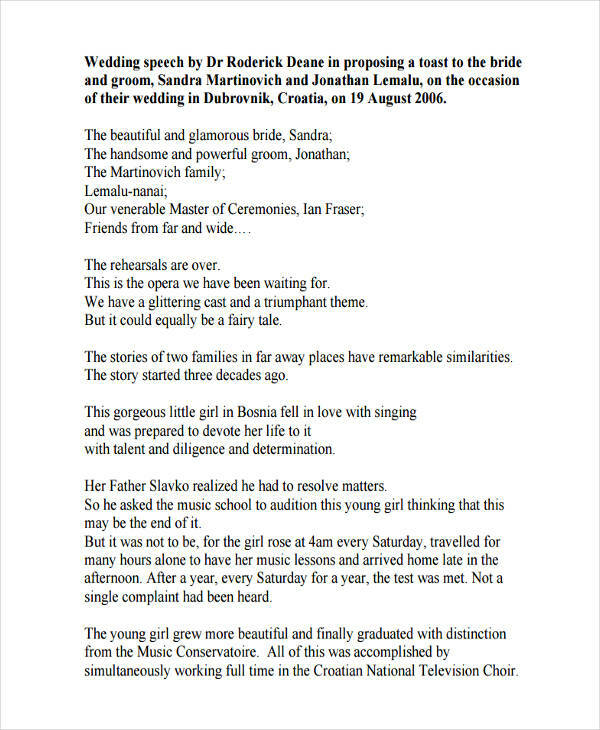 So maybe you delivered a speech template to a huge crowd before, but never in a wedding with your little sister as the bride. Am I allowed to say this or that? Am I supposed to do some speech exercise or crazy rituals to calm my nerves? 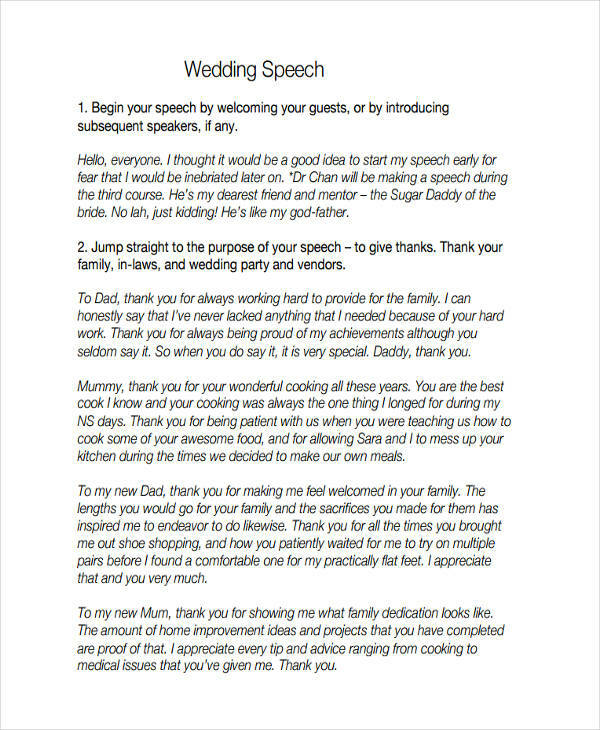 Read on to know just how you could deliver the perfect wedding speech. 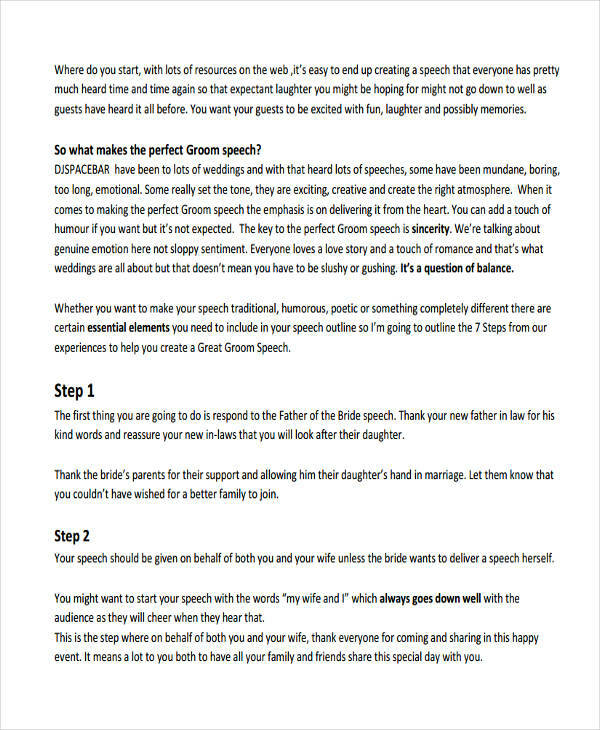 What Is a Wedding Speech? A speech is a formal address that is delivered to an audience of any age and size. They can either be informative, persuasive, or for a special occasion speech. 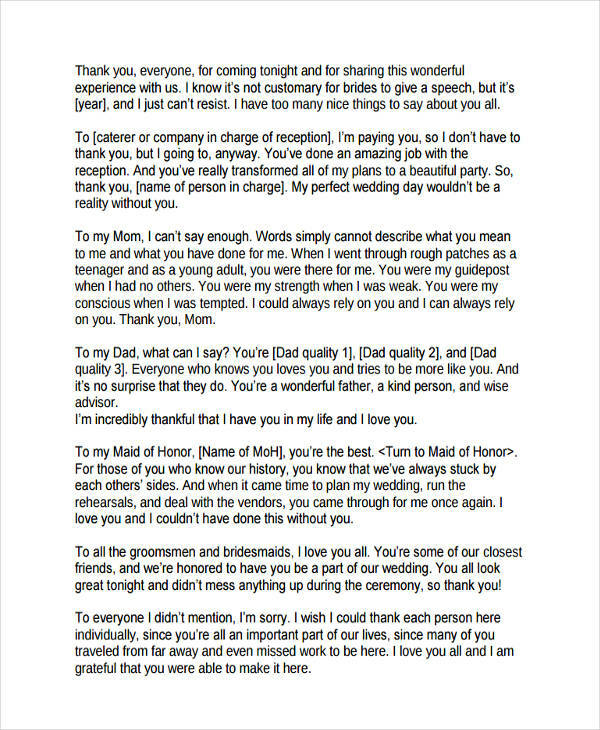 Wedding speeches either bring cheers or tears to an audience, depending on what it’s intended to do. They’re meaningful pieces that carry so much emotion in every word. They’re meant to be personal and intimate in meaning. However, not everyone is a pro in delivering a good speech. Some people choose to bring written copies of their speech or save the speech in a PDF on their phones. Plan in advance. Make a draft or use speech examples in word as a guide. This would help create a smooth flow for your speech. Don’t get drunk! There’s nothing worse than a drunk speaker. A glass or two will help you calm your nerves but try not to go beyond your limit. K.I.S.S. Keep it short and sweet. 30-minute speeches are bound to receive still smiles and awkward slow claps. Make notes. If you don’t want your speech to be too scripted, you can list down points that you wish to include in your speech. Know your audience. It might be necessary to keep it PG with your jokes, you need to consider the older relatives and children when writing your speech. Humor is key. 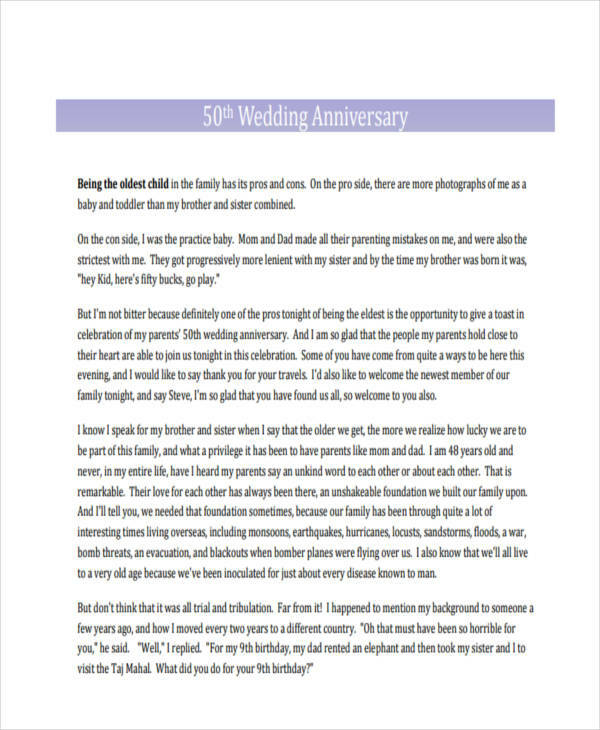 Wedding speech in pdf that are comedic in nature are sure to be a hit. Just make sure you’re sensitive with your choice of words. Be careful with what you are about to share. How you spent spring break with the bride might be a fun tale to bring up but it’s not exactly the most appropriate story to share in front of her family. Cover all bases. 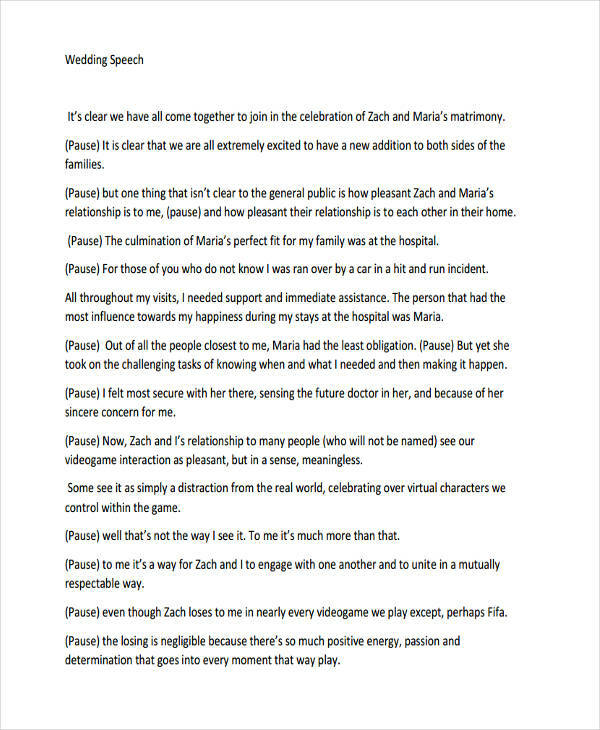 Express your well wishes and thanks clearly by remembering to credit the people responsible for making it all happen.